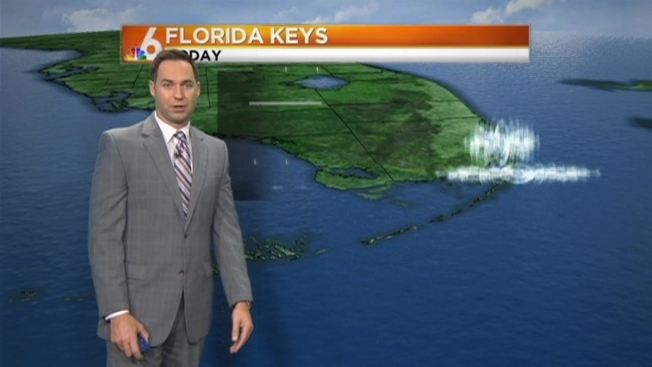 South Florida is seeing some relief from the rain, but it won't last long. After nearly 9 inches of rain so far in July, Monday will be mostly dry and sunny. Some shower activity will pop in during the afternoon hours, but it will be isolated to small areas in Broward. Highs were expected to reach 93 degrees by 3 p.m. There will be no rip current risk at area beaches and the UV index will be in the extreme, so be sure to stay in the shade and drink plenty of water. Storm chances will increase by mid-week, with a 50 to 60 percent chance of rain from Wednesday to Saturday. Only one area to watch in the tropics this week - a disturbance across the Atlantic by the lesser Antilles could develop by the end of the week.